Swedish fast fashion giant H&M's collaboration with luxury brand Kenzo was so eagerly awaited in Singapore that some shoppers joined the queue two days before the collection went on sale. "Masstige" - that is, mass market meets prestige - has become a reliable marketing strategy for retailers over the past decade. High-end labels reel in customers they might not otherwise reach, while popular retailers benefit from the intense hype. H&M, which entered the Singapore market in 2011, has embraced the trend. Designers who have joined forces with the retailer include Stella McCartney and Isabel Marant. Its first celebrity collaboration was in 2004, with Chanel creative director Karl Lagerfeld. The marriage to Lagerfeld came hot on the heels of American hypermarket Target's tie-up with designer Isaac Mizrahi. As The New Yorker reports, H&M approached Lagerfeld because it wanted to bring in an even bigger name. H&M creative director Donald Schneider later told The New Yorker: "He only had one question. He said, 'Am I the first one you're asking?' I said yes." Lagerfeld said afterwards that he would never work with H&M again, partly because he was offended that the store had manufactured his designs in plus sizes. "What I designed was fashion for slender and slim people," he said to German magazine Stern. The Straits Times looks back on some big-name tie-ups that generated buzz, and queues, with Singapore shoppers. It was shopping mayhem at the H&M Singapore flagship outlet in Orchard last November when the store launched its clothing tie-up with the high-end French brand Balmain. Shelves were cleaned of stock within four hours as hordes of shoppers - some of whom had been in line for 60 hours - snatched at form-fitting dresses and structured blazers from the 109-piece Balmain x H&M collection. H&M's Alexander Wang collaboration in 2014 was equally popular with Singapore shoppers. 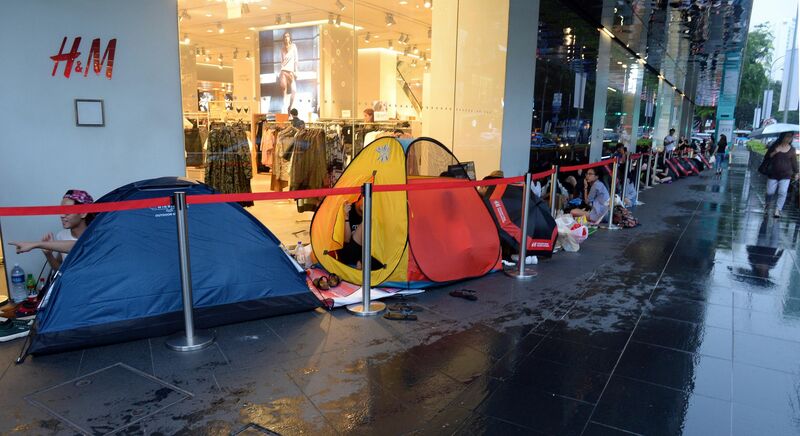 Even inclement weather did not deter the fans who slept in tents outside the store while waiting for doors to open. The sportswear-inspired "athleisure" garments in the collection included mesh leggings, strappy sports bralettes and knee-high socks. One must-have item was the hooded black scuba jacket. 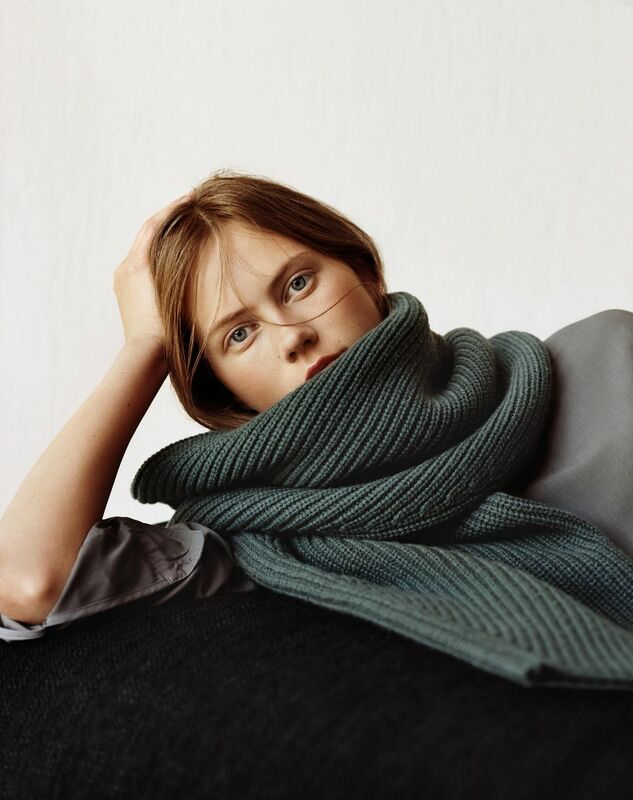 In 2015, fresh from his old job as Hermes creative director, Paris-based Christophe Lemaire unveiled a collection with Japanese casualwear brand Uniqlo. The affordable line of basic knits in neutral hues and simple silhouettes proved such a hit that Lemaire was brought back as an artistic director at Uniqlo. He now heads its newly launched Uniqlo U line. 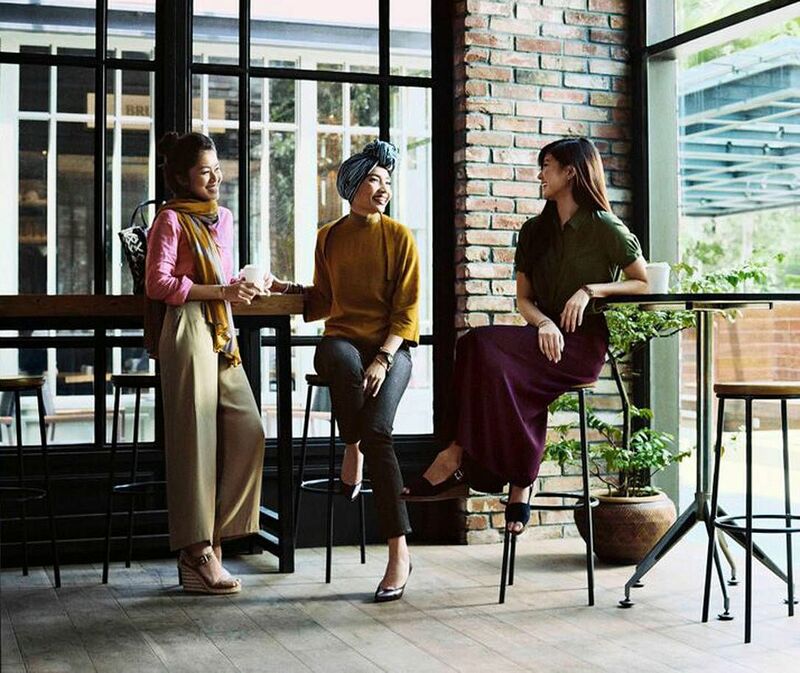 British-born designer Hana Tajima's collaboration with Uniqlo has entered western markets, but it first appeared in 2015 in South-east Asia. That's not surprising, considering that her clothing line features kebaya and tudung choices in addition to tunic tops and bell-bottom trousers. 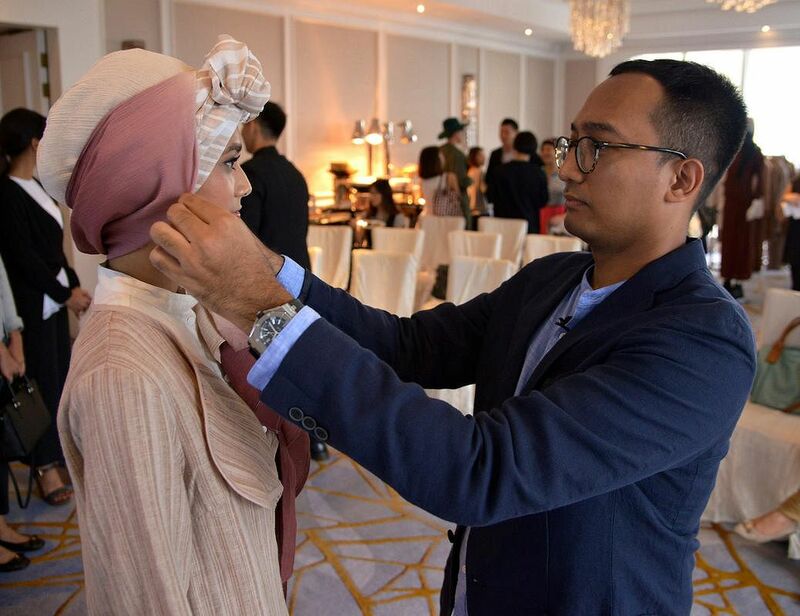 A Japanese Muslim, Tajima aimed her style at young women who want "culturally sensitive and extremely comfortable" couture. Asymmetrical designs and solid, fashion-friendly colours like mustard yellow and dusty rose also add appeal to her Uniqlo items. Former model Ines de la Fressange jumped aboard the Uniqlo ship in 2014, with prices from $14.90 for a scarf to $199.90 for a coat, and is still designing for the Japanese brand. Besides chic cuts in solid colours, a whimsical style rears its head in brightly coloured beanies and motif-printed shirts. 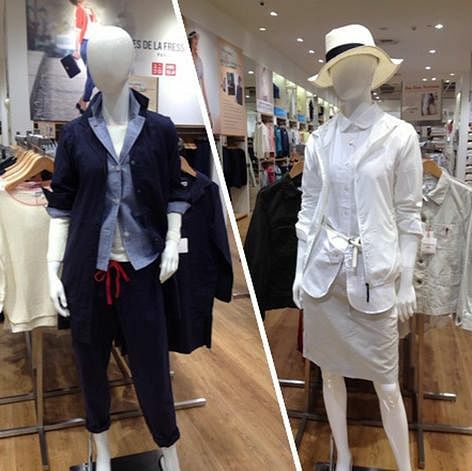 De la Fressange and Lemaire are not the only Parisians who have found a home at Uniqlo. Last year, Harper's Bazaar global fashion director Carine Roitfeld launched the Uniqlo x Carine Roitfeld collection with bold prints and an edgy sexuality. Singapore has both adidas Originals and Topshop outlets, so shoppers have twice the opportunity to get their hands on coveted items as collaborations are stocked at both brands' stores. adidas Originals x Topshop upgraded the tropical singlet-and-shorts combination so chic wearers can also look sporty . If you've ever wanted to don the adidas trefoil label accompanied by a print motif of psychedelically floral leopards, this is the collaboration to hit up. Supermodel Kate Moss has been partnered with British label Topshop since 2007 and, other than a four-year hiatus, kept the designs coming. Moss has said that she sells only items that she would wear, so her Topshop line evolved as she moved from girly outfits to a look that she called "a bit more sophisticated". A summer beach theme still prevailed when she made her Topshop comeback in 2014.